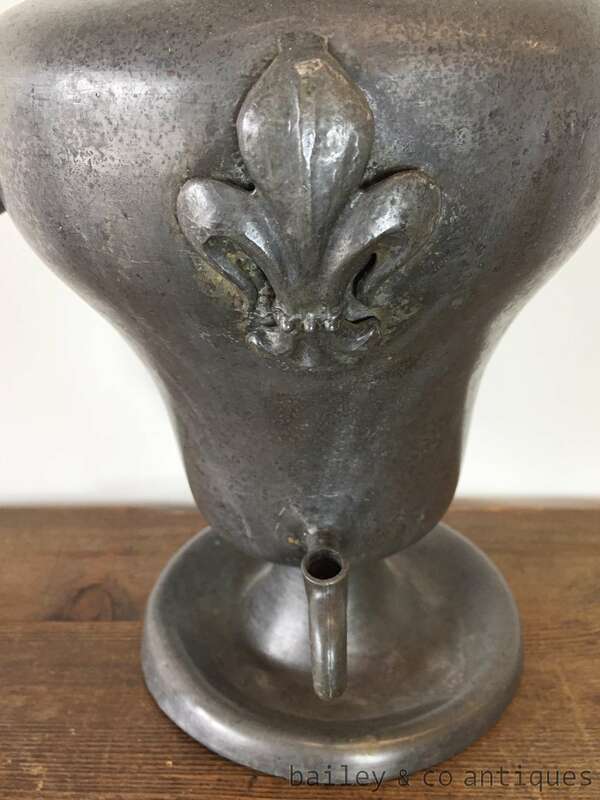 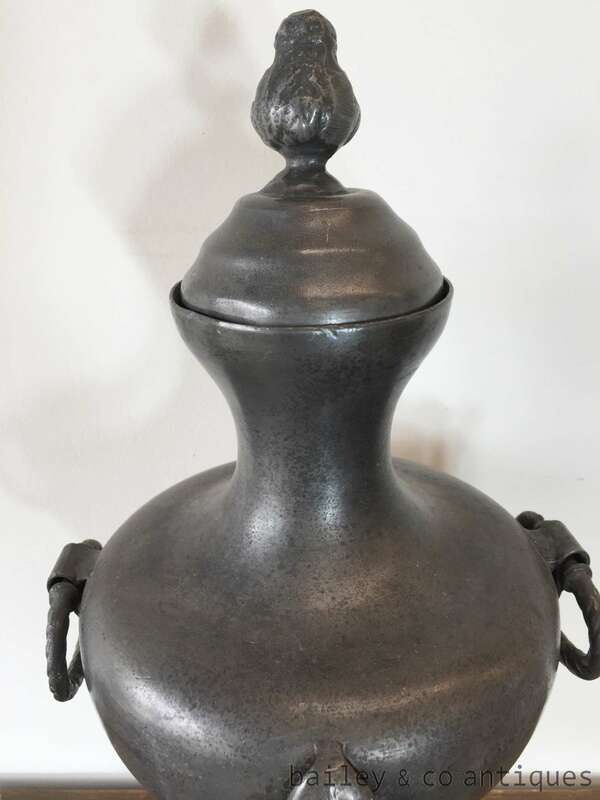 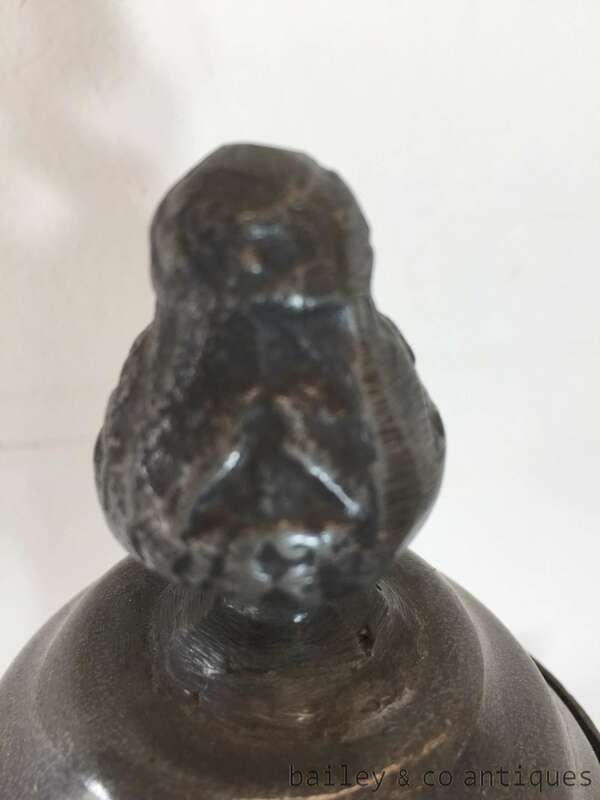 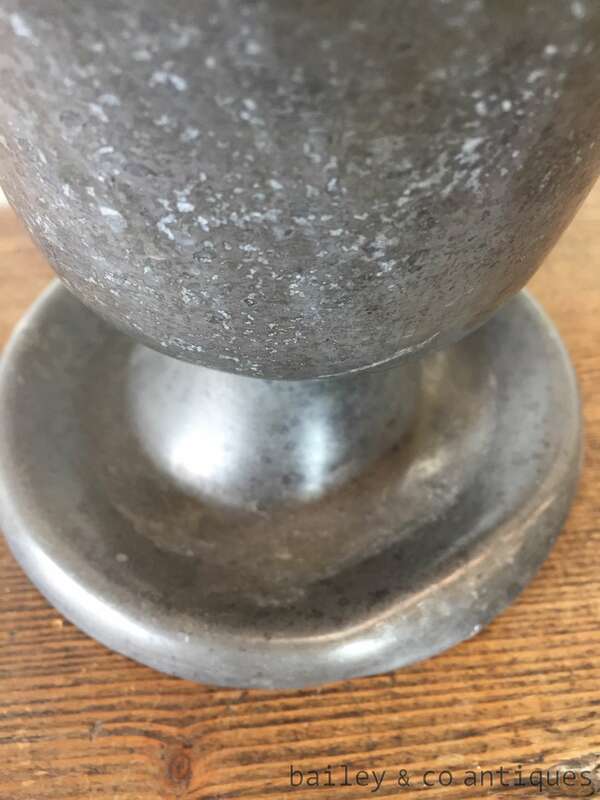 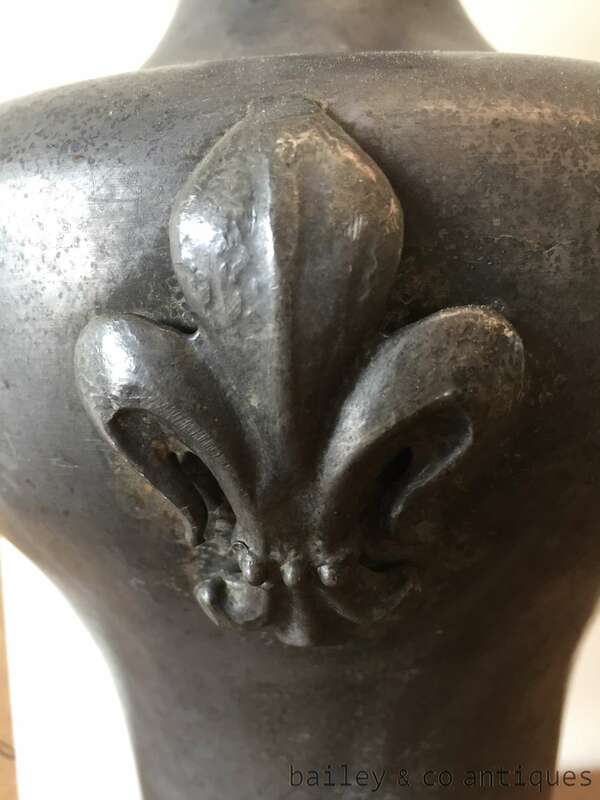 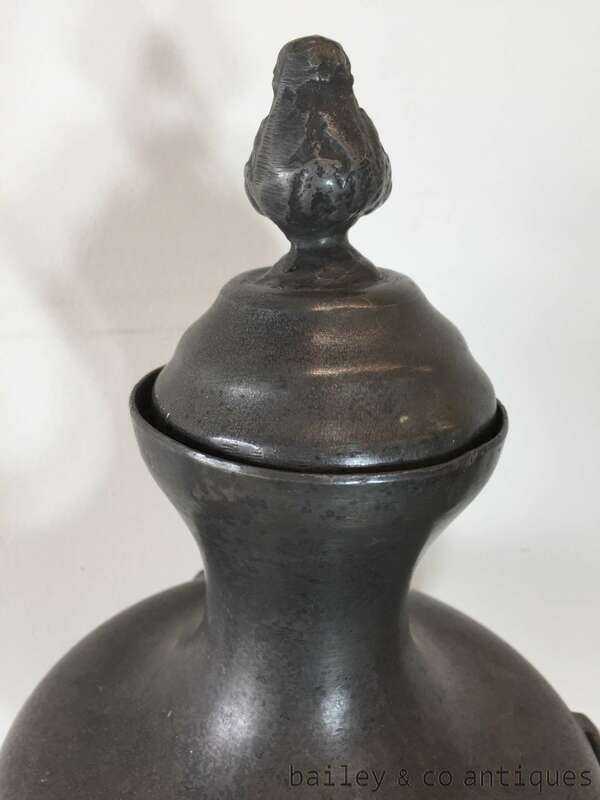 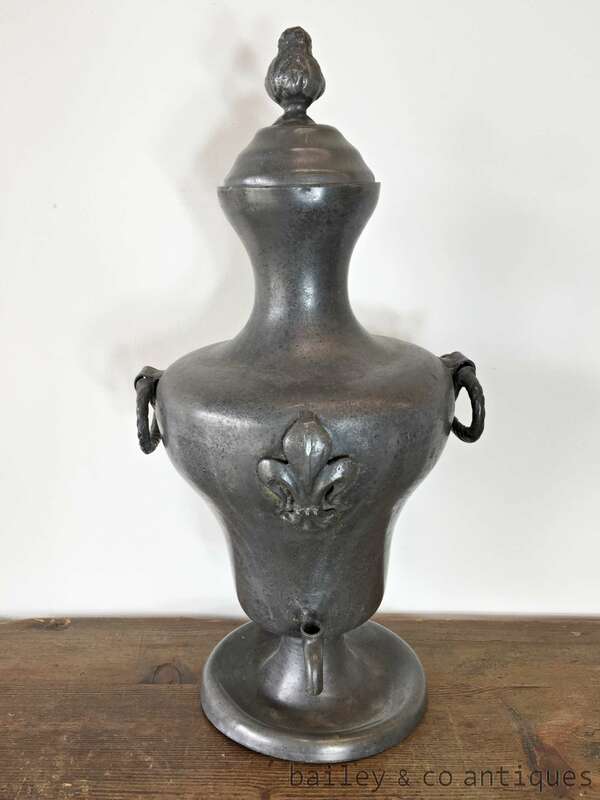 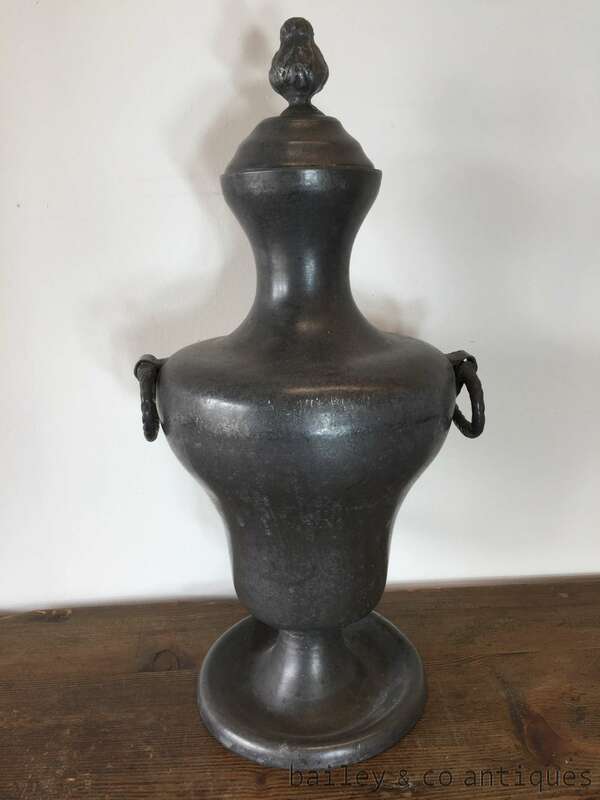 An antique French pewter fountain with Fleur de Lis decoration. 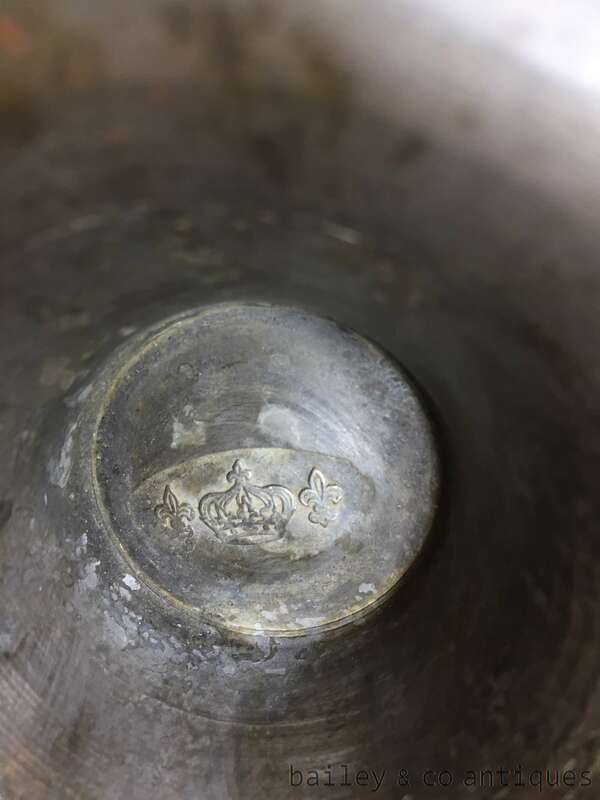 The underneath is stamped. 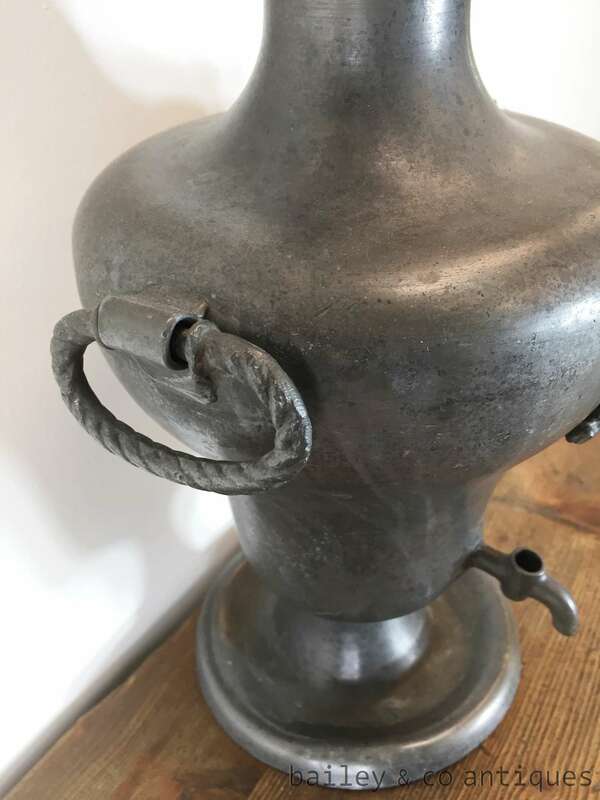 There are some dents and it sits slightly unevenly and the little tap closure is missing but a wonderfully original French piece.